Finding a mobile app developer doesn’t seem too difficult – there are companies all over the web offering to do it for you, but how do you choose the right mobile app developer? Who is going to understand your business and what kind of app you need? How can you get the best value for your money?Look for these top 5 qualities and you’ll be working with the right mobile app developer in no time. So you’ve gotten an email from Developer Joe saying he can build your mobile app – and he can do it for cheap! Sounds great, right? Don’t be too hasty, finding the right mobile developer is about reading between the lines. The first indicator is a developer’s website. Is it clean? Easily navigated? Does it look professional or does it have the look of a generic template? Remember, this is the guy who is going to be developing YOUR mobile app. If he doesn’t even have a good website himself, what does that mean for you? Other items to look for might be a well-maintained Facebook page or an active Twitter account. Understanding your prospective developer’s entire story is key in determining his or her legitimacy. As it turns out, Developer Joe has a pretty great looking site, a well-maintained social media presence, and doesn’t appear spammy, so you decide to send him an email. A week goes by before he finally gets back to you. Note: this is a red flag. Working with a mobile app developer means constant communication. Your developer needs to be available during the business week for any questions or directions you might have. That’s not to say that you should expect your developer to be continuously clicking ‘refresh’ on his or her email inbox with the phone pressed up against his or her ear, but a good rule of thumb is that you want to deal with a developer who is going to return your inquiries within at least a 24-hour period during the business week. Also, look for a phone number. Companies without a contact number can raise a few suspicions, it’s also important to have another avenue for communication should there be a problem with email. Passing the two previous requirements means nothing if you can’t see a catalog of your developer’s previous works. There should be a company works page featured on the developer’s website, though if there’s not, it’s not necessarily a deal breaker. Email your prospective developer to send you some of the work he or she has completed. 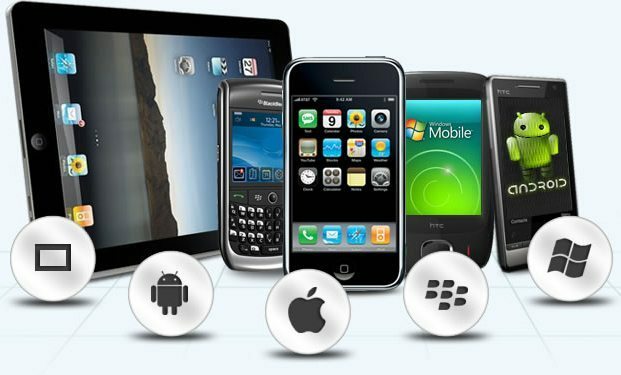 How successful has his or her previous mobile apps been? Do they look up to your standards? Would you use these apps? The absence of any previous works is definitely a major red flag. You don’t want to be a developer’s first actual job – how would you know what kind of product quality to expect? The deeper the catalog the better. Look for experience and past success, these are great indicators for what to expect. 4. Don’t Take His Word For It! You’ve gone over your prospective developer’s past works catalog, and you like what you see. You want to let his or her work speak for itself but let’s be realistic, top mobile apps can cost thousands, if not tens of thousands of dollars to produce, and before you lay out the cash, you want to be absolutely certain you’re getting your bang for your buck. This is the time to take the opportunity to follow up on some of his past works to see if they enjoyed the product and service they received. Finding the contact information for your prospective developer’s previous clients should not be difficult, and once you find them, they will more than likely be happy to answer any questions you might have. It goes without saying to look for good feedback. Don’t expect 100% of the developer’s past clients to give 10/10 reviews across the board (though that’s certainly not a bad thing! ), but look for generally positive sentiments. Has the developer been responsible regarding any subsequent debugging for previously created apps? Does the developer remain in contact after the mobile app’s launch? Or did the developer create an app, get paid, then disappeared leaving his client to fend for his or herself? These are important questions, not only for the quality and character of your developer, but also in determining the reliability of the developer in creating a mobile app that is not only high-quality, but sustainable for the long term as well. Go with your gut feeling, if you’re hearing too much negative feedback, don’t be scared to back out. A mobile app is a substantial expenditure. There are many top-quality developers out there, don’t settle for a sub-par product. You now have been speaking with Developer Joe for the past few days and you’ve organized a phone meeting to discuss what exactly you’re looking for. As you speak on the phone, you receive a lot of questions like, “which programming language would you like to employ?” or “which integrated development environment would you like to take advantage of?” This is a bad sign. You are hiring a developer to utilize his or her knowledge on the subject, trusting in his or her experience and intuition to make the right decisions for you. After all, you don’t know the difference between a back-end and a front-end server code, or whether you’d like to make use of HTML5 or Native apps. That is not to say that you should leave your input out of it, communicating what you want in your app is the most important step however, when it comes to technical details, the developer should be the expert. It’s like going to the doctor when you’re sick. While it is your job to tell the doctor what is bothering you, and what you’d like to happen, you trust his or her knowledge and experience to prescribe the right medicine; this is not a question he leaves to you, the patient. So too is it with mobile app developers; it is your job to tell the developer what you want, then it is the developer’s job to determine the best means of accomplishing that goal. As with contracting for any job, you always want to pay attention to the big picture. Take a step back, look at the developer as an entire entity – his or her previous work, the caliber of employee the developer will have working on your app, your developer’s online identity, as well as the quality of your prospective developer’s work. Trust your instincts, and follow your gut. Taking the aforementioned 5 qualities into account, you should have no problem finding the right fit for your mobile app. Great tips Jonathan! I recently analyzed a few aspects of what to look for in an app developer as well. Might be a good read, for those wanting to dig deeper into the subject.